(by Karen Pierog and Hilary Russ, Reuters) – Gambling provides only a short-term fix for U.S. states looking to boost revenue without having to turn to politically unpopular tax hikes on income and sales, according to a public policy research group’s study released on Tuesday. The Rockefeller Institute of Government said more than a dozen states legalized or expanded gambling in the wake of last decade’s Great Recession. But taxes and fees generated from casinos and other forms of gambling have softened in recent years due partly to market saturation. Lottery revenue fell for the second consecutive year in fiscal 2015. “History shows that in the long-run the growth in state revenues from gambling activities slows or even reverses and declines,” the study said. 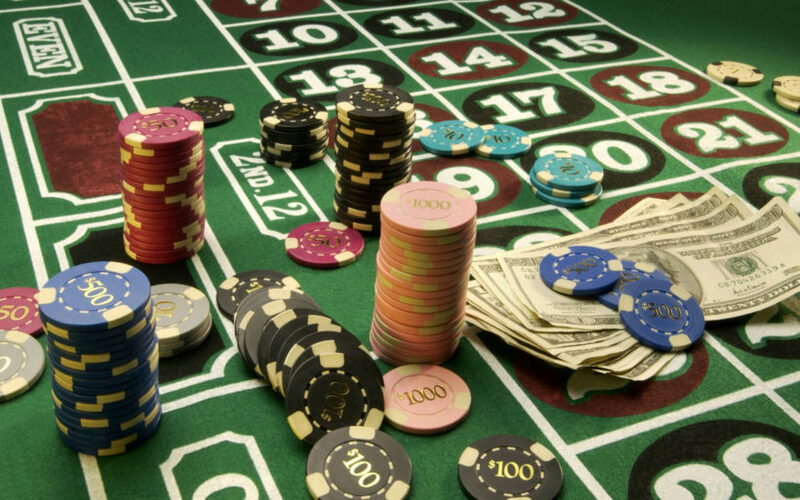 The study comes as some states consider whether to expand gambling. In New Jersey, voters will decide in November whether to allow two new casinos in the north, close to New York City. Local officials in cash-strapped Atlantic City, currently the only area in New Jersey where gambling is allowed, say new casinos will cause the city to lose even more revenue. Atlantic City’s property tax base shrank nearly 70 percent in just six years as its casino industry suffered from competition in neighboring states. The U.S. gambling market could be saturated. Nationwide, inflation-adjusted revenues from commercial casinos declined 1.5 percent between 2008 and 2015, the study found. While revenues grew in states with newly authorized casinos, they declined in states with older, established casinos. When considering taxes and fees from all major sources of gambling, including lotteries, revenues grew by only $0.5 billion, or 1.8 percent nationwide during the same period, the study found. Hawaii and Utah are the only two U.S. states that do not collect revenue from lotteries, casinos, racinos, pari-mutuel betting and other forms of gambling, according to the study, which added that gambling revenue only accounts for 2 percent to 2.5 percent of a typical state’s general revenue. With recovery of U.S. regional gaming revenues tepid, long-term headwinds will continue to weigh on the sector, Fitch Ratings said in a separate report on Tuesday. Barriers to growth include “slower wage growth, less certain retirement prospects for baby boomers, and alternative avenues for gambling,” Fitch said. 1. How many states have legalized or expanded legal gambling in recent years? 2. For what reason do state governments legalize gambling, including the lottery? 3. Why has state income (taxes collected) from casinos and other forms of gambling lessened in recent years? 4. Which two states do not tax gambling? 5. As states collect less money from legalized gambling, what will they do to raise money for their budgets? CHALLENGE: How would a fiscally conservative state government compared to a fiscally liberal government differ in their approach to balancing the budget? 6. To balance their budget, politicians have several choices including raise taxes or cut spending on government programs. Ask a parent: which do you think is the better option? Explain your answer. 7. When states legalize the lottery, they say the revenue will be used for public schools. The fact mentioned is that the schools don’t get extra funding: whatever amount they receive from lottery taxes the same amount is taken away from their budget. 8. The negatives of gambling on society far outweigh the positives. Do you agree or disagree with this assertion? Consider the pros and cons of casinos, the lottery, etc. Explain your answer.